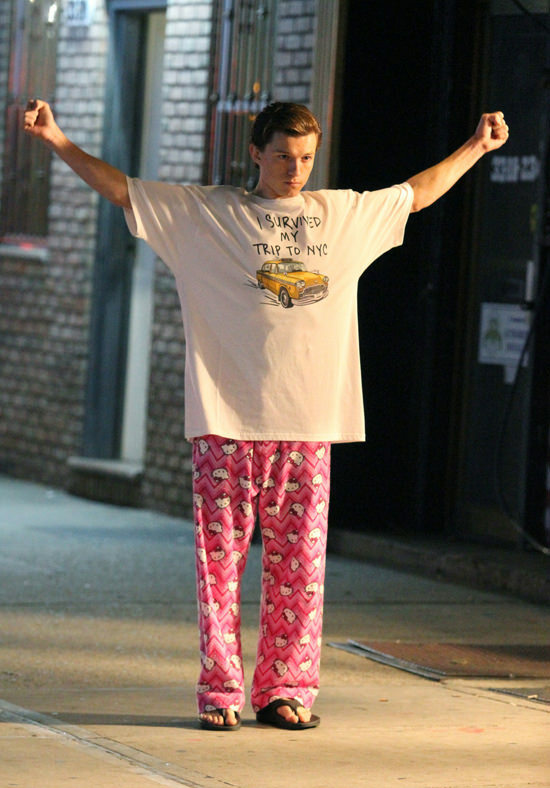 Tom Holland spotted filming scenes for his new movie “Spiderman: Homecoming” in Queens, New York City. 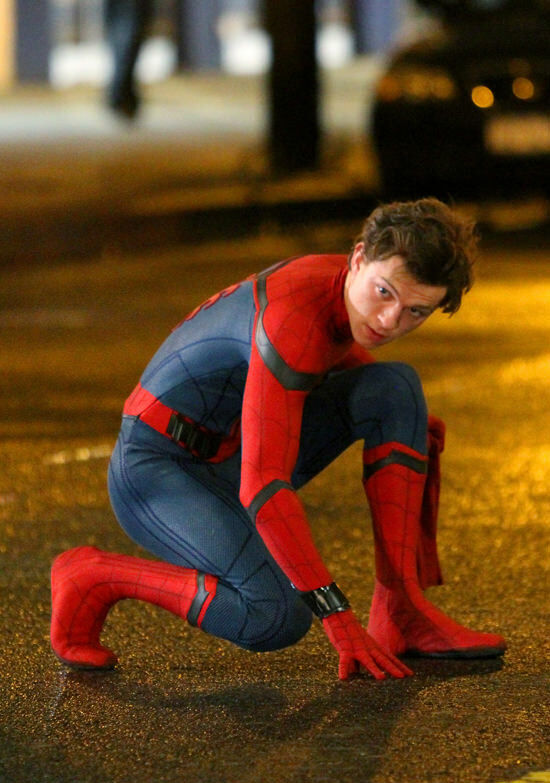 You’d think there’s nothing staler in the world of superheroes than another Spider-Man (aside from another Batman, that is), but Tom was so perfectly cast and so charming in the role, that he almost ran away with the Captain America: Civil War film, even though he was only in about 20 minutes of it. With the news that Zendaya has been cast as Mary Jane for the new film, we’re cautiously optimistic that we’ll be getting a fresh, light, fun take. 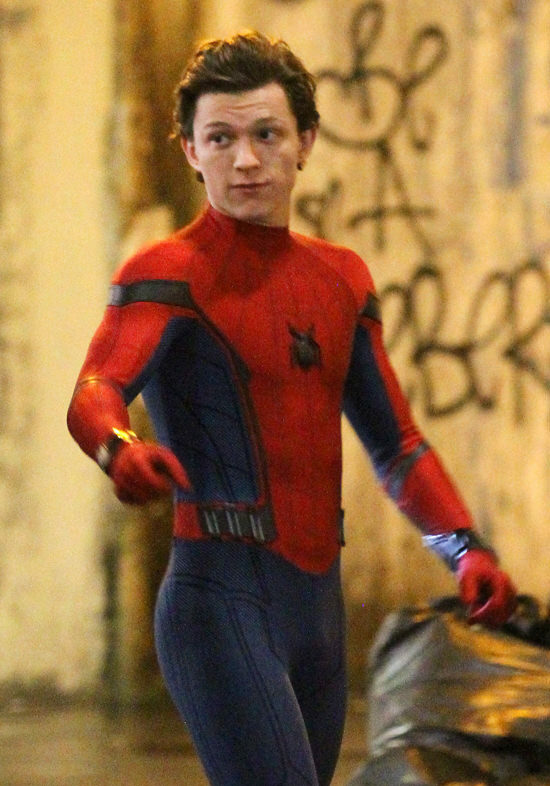 And the costume looks great. He just looks the part, more than anyone else who played the character. He’s got that sense of lightness and mischievousness, that imp or trickster-god build that perfectly sums the character up.